This is Kirk Carpenter’s 29th year in education, all of which have been spent with the Aztec Municipal School District. He is married to his best friend Teresa of 29 years, and though they have no children, they enjoy the company of their four dogs. Kirk was born and raised in Farmington, New Mexico and still lives there. He attended college at New Mexico Highlands University for my bachelor’s Degree in Special Education, with a Minor in History and received his Master’s degree in School Administration from New Mexico State University. While in the district, Kirk spent eight years as a teacher of special education and history. Coaching was also an important part of his career at Aztec High School. He spent six years coaching football and fourteen years in the baseball program, twelve of those were as a head coach. The last twenty one years have been spent in administration, including six years as an Assistant Principal, two in-a-half years as a Principal, and another two-in-a half as a Deputy Superintendent, and he is in his ninth year as the Superintendent. 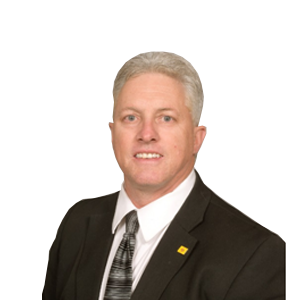 Mr. Carpenter served as the President of the New Mexico Superintendent’s Association, currently serves on the Board of the New Mexico Activity Association, New Mexico Coalition of Education Leaders, and is the President for the Board of the Cooperative Educational Services. In 2014, Mr. Carpenter received one of his highest honors in his educational career when his fellow Superintendents voted him as the New Mexico Superintendent of the Year. Kirk loves what he does and consider himself blessed to be able to serve children, because there is nothing more important than preparing them for their future.